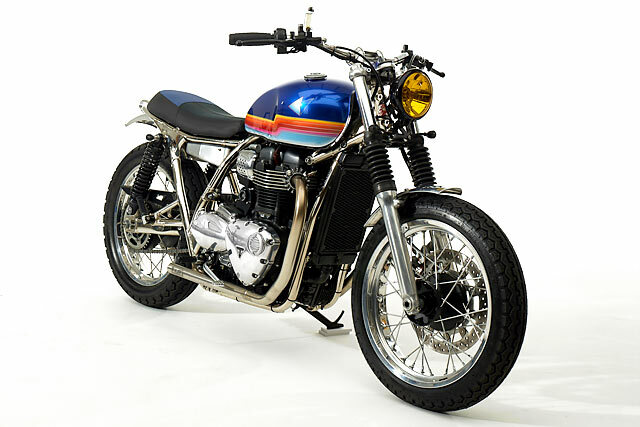 Today, we present the newly customized Triumph T100 from FCR Original. This project is based on the latest Synapson Super 8 album. They kept the design tastes of the movies of the 70s and 80s. 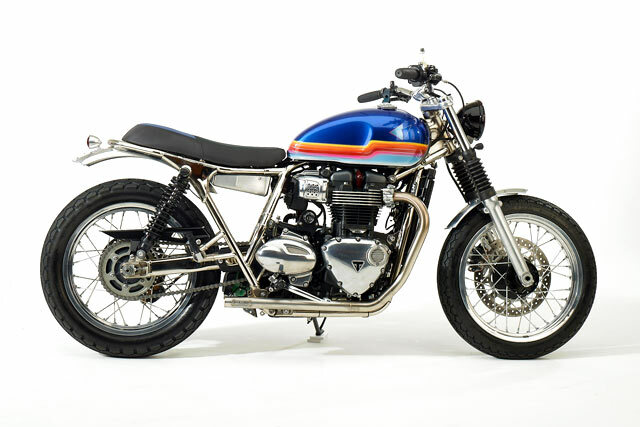 For this FCR Original has purchased a new bike from the Triumph dealer. After that, they changed the setting. The back of the bike was cut and a new loop was added. They ripped off all the powder coating and the tab was removed. 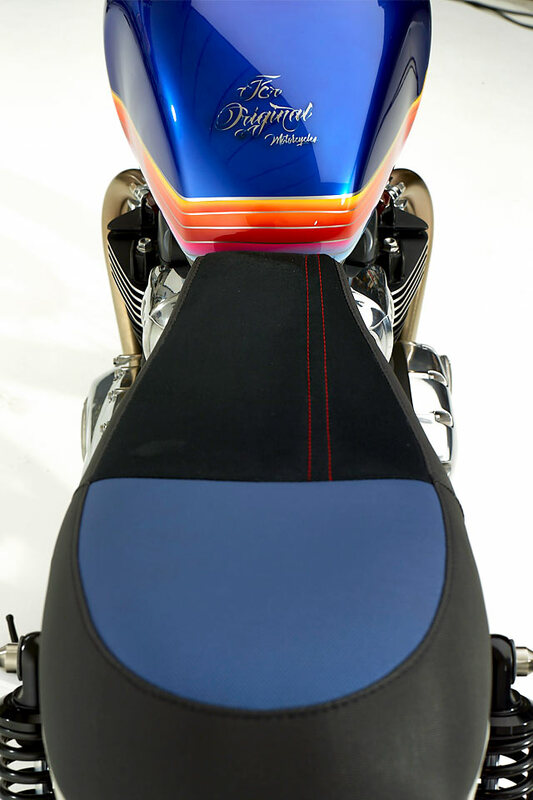 FCR Original wanted to use Motogadget Speedo. But it was difficult for them to settle on a new modern bike. They deactivated the ABS, the wires were laid out and the team took care of hiding all the sensors, connectors and motorcycle wiring provided with a new bike. They installed the electrical components in the small built-in box that was manufactured by FCR Original. They used K & N air filters for the engine. The hand-made rear brakes are mounted under the mudguard that's also custom-made by them. The painting was also one by them. The blue, red and yellow colors that give the feeling of the beach of the 70s.